Unlike desirable renovation projects which are carefully planned and eagerly anticipated, disaster restoration is always necessitated by some unexpected and misfortunate events that wreak havoc on people’s lives and cause great damage to their properties. Whenever disaster strikes, a quick and competent response is of paramount importance for limiting the damage and helping you get your life back on track. RestorationMaster has been providing efficient disaster restoration services in Oklahoma for the last 16 years. We have great experience in dealing with the immediate aftermath of various kinds of disasters and use the most advanced equipment and techniques to ensure the best possible results. Our technicians are professionally trained to come up with the most suitable solutions in the event of emergency situations in the Owasso, OK area. We offer fire damage restoration, water damage restoration, mold remediation, residential carpet cleaning, commercial carpet cleaning, trauma cleaning and CE classes to homes and businesses in Owasso, OK and the neighboring areas. You can receive free estimates for each of these services and learn more details concerning the specific type of restoration you need at (918) 932-1333, 24 hours a day! Fire spreads quickly and can devastate your entire property before you even realize the magnitude of the disaster. Fortunately, advanced firefighting equipment can confine the flames and extinguish them in time, so that the resulting damage is not so catastrophic. However, soot and smoke will continue to cause additional damage even after the fire has been put out. 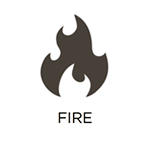 So, it is very important to call professional fire damage restoration services immediately. If you stay focused and act quickly, there is a fair chance that the professionals will be able to limit the damage and restore your property in a speedy and efficient manner. RestorationMaster will respond to your emergency call at any time of the day or night in order to help mitigate the damage and begin the restoration process as early as possible. 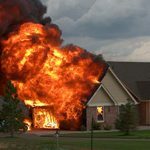 If your home or business in Owasso, OK has sustained fire or smoke damage, our technicians will provide you with invaluable assistance in terms of quality restoration services, experienced approach, and practical advice. We will remove soot and corrosive byproducts, deodorize the area and restore its functionality and appeal, so that you can resume your daily routine and habitual lifestyle as soon as possible. 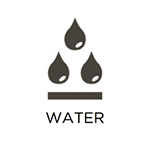 Unlike the instantaneous fire damage, water can take a long time to reveal its devastating power. Regardless of whether the source of excessive moisture in your property is a leaking pipe or a torrential rain, water can find its way through any porous materials and secretly cause structural damage or even result in mold growth. The problem may remain undetected until it becomes so severe that immediate professional assistance may be required to cope with the situation. The sooner you take measures, the smaller the damage will be, of course, so call the professionals as soon as you notice the problem. 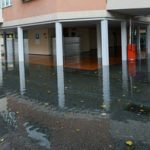 RestorationMaster offers water damage restoration services to homes and businesses in Owasso, OK that have suffered from flooding or excess water. We not only remove water from the building but also provide thorough drying and dehumidification services and eliminate the source of the moisture if it is still present. We use the most up-to-date equipment and standards in our work to achieve impeccable results. Our technicians have adopted a professional and skillful approach that allows them to complete the job in a timely manner so that you can get your home or office back to normal as quickly as possible. 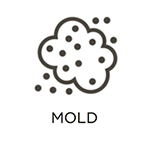 Mold thrives in moist environments and spreads very easily. If proper measures are not taken to remove it in time, it will not only cause extensive structural damage to your home or office, but will also increase the risks of respiratory diseases and infections. Provided that you detect mold growth early enough, you may successfully kill the spores with appropriate mold removal products and then sanitize the affected areas. 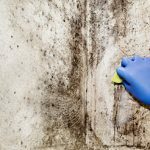 However, if mold has developed unseen and has already spread over large areas and caused damage, the assistance of mold removal professionals is highly recommended. RestorationMaster provides efficient mold remediation services to homes and businesses in Owasso, OK. Our technicians have the advanced equipment and the professional skills required to eliminate the mold even from areas that are commonly overlooked or difficult to access. Besides, they will also repair or replace the damaged materials and will take proper care of the moisture source to prevent future mold growth. 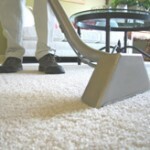 You probably vacuum the carpet in your home on a regular basis to prevent the accumulation of dust and dirt. However, vacuuming is not enough to remove the debris that has embedded deep into the carpet fibers and they slowly build up over time. Persistent stains appear as a result of accidental spills that have not been immediately removed and the heavy foot traffic causes the carpet to start looking dilapidated and worn out. Unless you take appropriate measures, the overall condition of the carpet will deteriorate considerably and it may even start falling apart. Professional carpet cleaning services can restore the good look and feel of your carpet and prolong its life. RestorationMaster provides quality carpet cleaning services for homes in Owasso, OK. We can thoroughly clean and restore all types of carpeting thanks to our advanced cleaning equipment and methods as well as the long years of experience that allow us to achieve perfection in our work. Our technicians pay meticulous attention to the details and successfully remove all the embedded dust and dirt from the carpet fibers. Even the ugliest spots and stains disappear without any trace and your carpet looks as good as new. What’s more, they will give practical maintenance tips, so that your carpet remains in flawless condition. Carpets in commercial areas are subject to a constant flow of people who bring in a lot of dirt and debris. Especially when it’s raining outside, muddy water is tracked all over the floors, causing a big mess and soiling the carpets. It is really difficult to clean the resulting dirt and maintain the good look and feel of the carpeting. Regular professional cleaning is your only beneficial option for keeping your business area clean and appealing. RestorationMaster offers commercial carpet cleaning services for businesses in Owasso, OK to clean and restore any type of carpeting you might have. We provide one-time deep cleaning, as well as cleaning programs tailored to your specific needs and requirements. Our technicians use up-to-date cleaning products and equipment appropriate for the specific type of your carpet and the current weather conditions to guarantee the charming look of your surroundings at all times. Commercial carpet cleaning services can be scheduled after your business has closed so that your work is not disturbed. 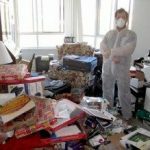 Hoarding is a disorder that affects millions in the U.S. and the consequences of hoarding behaviors can be very dangerous. 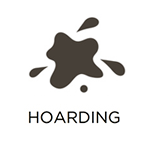 Those who struggle with hoarding develop an inability to dispose of anything in their home due to underlying anxiety and this buildup can restrict access within the home while creating unsanitary living conditions. RestorationMaster provides hoarding cleaning services to help clean and restore the homes of hoarders to a safe condition in Owasso, OK. We treat the individual with compassion and respect and ensure that the entire home is cleaned and sanitized after the hoarded items are removed. Encountering a crime scene on your property is overwhelming emotionally and quite dangerous. 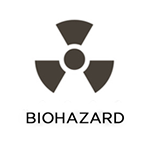 Biohazard materials such as blood and bodily fluids are typically found at the scene and if they are not removed properly, the risk of spreading infection or disease increases. These scenes must be cleaned up by a licensed professional with the right materials. RestorationMaster can safely clean up violent crime scenes in Owasso, OK with powerful cleaning products and disinfectants to make the area safe again. Our technicians work quickly and discreetly to protect your privacy and we also approach those who have lost a loved one with a sense of compassion. In the unfortunate event of serious injuries or violent crime on your property, the situation is not only very traumatic but also dangerous to your health. Biohazardous materials pose a great threat of contamination and various diseases, so appropriate measures have to be taken for the timely removal of blood or other risky substances. Only certified professionals have the required specialized equipment, knowledge, and qualified experience to deal with such traumatic situations and handle the cleanup. RestorationMaster provides trauma scene cleaning services in the Owasso, Ok area. Our technicians work quickly and discreetly to effectively clean up scenes involving death or serious injury and restore the surroundings to a safe condition. Your privacy will be protected and you will be able to resume your life without any further implications of the dreadful event. Visit our website for detailed information about disaster restoration and cleaning services in Owasso, OK or call RestorationMaster anytime at (918) 932-1333 for consultations and free estimates!